Check, Please! Series, Book 1 · Check, Please! 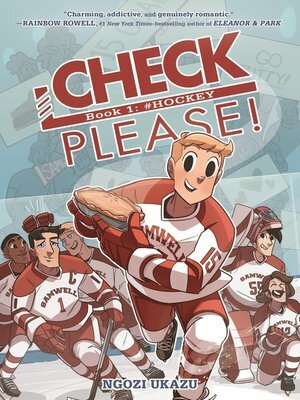 Eric Bittle may be a former junior figure skating champion, vlogger extraordinaire, and very talented amateur pâtissier, but being a freshman on the Samwell University hockey team is a whole new challenge. It is nothing like co-ed club hockey back in Georgia! First of all? There's checking (anything that hinders the player with posession of the puck, ranging from a stick check all the way to a physical sweep). And then, there is Jack—his very attractive but moody captain.